مَن أرادَ أن لايَضُرَّهُ طَعامٌ . 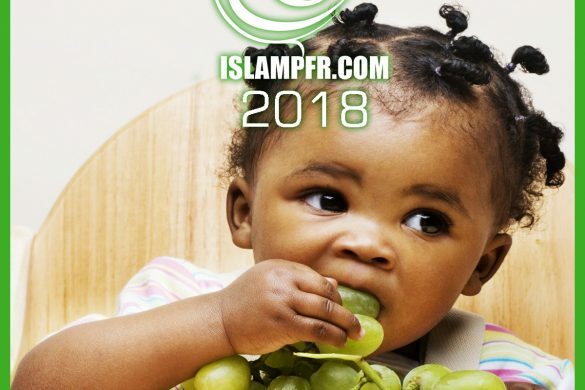 . . وَلْيُجِدِ المَضغَ. 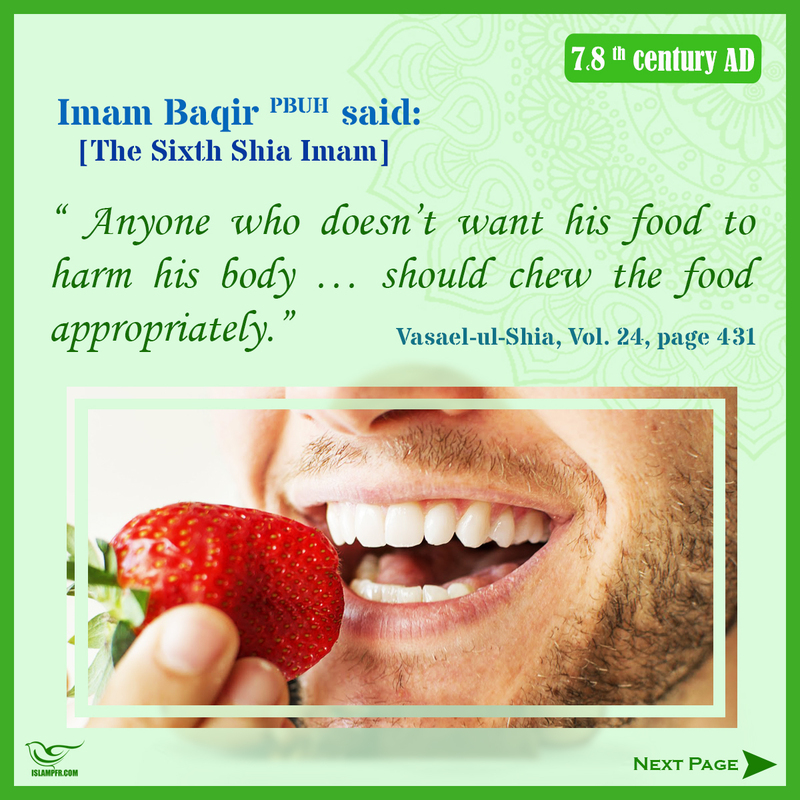 Imam Baqir (PBUH): Anyone who doesn’t want his food to harm his body … should chew the food appropriately. 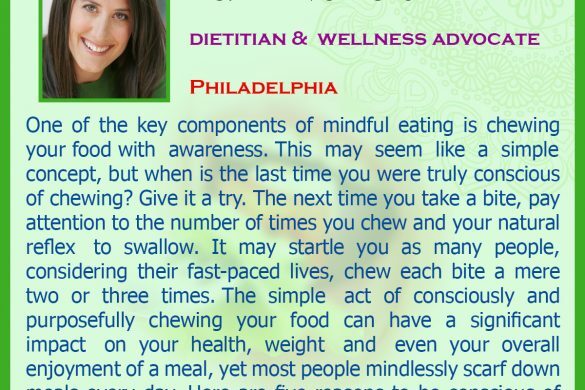 One of the key components of mindful eating is chewing your food with awareness. 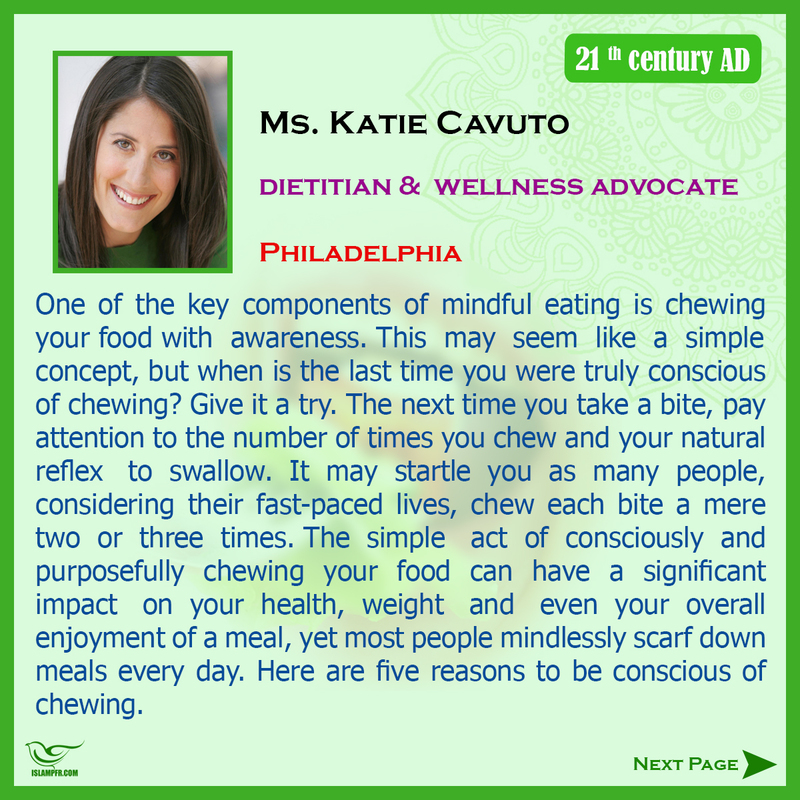 This may seem like a simple concept, but when is the last time you were truly conscious of chewing? Give it a try. The next time you take a bite, pay attention to the number of times you chew and your natural reflex to swallow. It may startle you as many people, considering their fast-paced lives, chew each bite a mere two or three times. The simple act of consciously and purposefully chewing your food can have a significant impact on your health, weight and even your overall enjoyment of a meal, yet most people mindlessly scarf down meals every day. 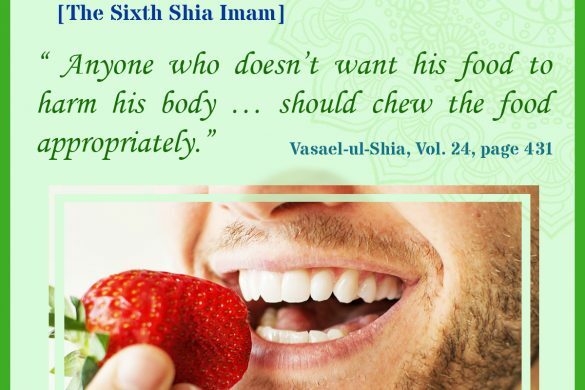 Here are five reasons to be conscious of chewing. 1- Aid your digestion. Those mere two bites you take before you swallow your food do not do your belly good. Chewing is an essential part of digestion. The more you chew, the better your food will be broken down (with the help of digestives enzymes released in your mouth) prior to entering your stomach. When food is properly broken down, the risk of bloating and adverse GI symptoms will improve. 2- Boost nutrient absorption. The more you chew, the more nutrients you will absorb. Considering we eat to nourish our bodies, this is an important point to make. 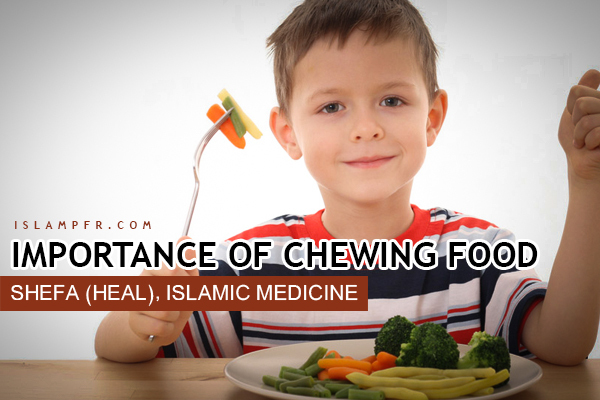 If you properly chew your food, it will be digested and metabolized more effectively. 3- Control your weight. When you consciously chew, you’ll naturally slow down how quickly you’re eating. When you slow down how quickly you’re eating, you allow yourself the chance to be aware of your natural hunger and satiety cues, which can decrease your risk of overeating. Try chewing each bite anywhere from 15 to 30 times depending on the food. Notice how it changes the pace of your meal. 4- Taste your food. Studies have shown that many people pay attention to the first bite of food then mindlessly gobble down the rest of their meal. 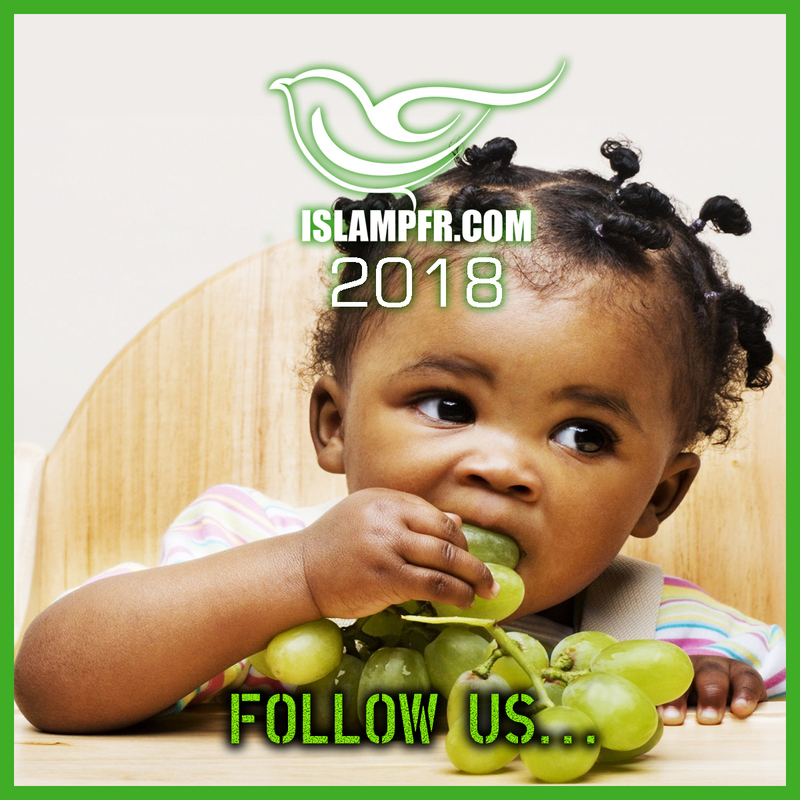 Considering taste plays an important role in why you choose one food over another, it would make sense for you to want to take the time to relish and enjoy each bite. 5- Appreciate your food. When you slow down your eating enough to mindfully chew, you also allow yourself the space to truly appreciate the meal. Food appreciation can mean many things. Allow yourself the chance to appreciate the fact that you have food on your plate – that the food is beautiful and nourishing. Maybe you take the time to appreciate the process the food has gone through from its origin to your plate. Fostering an environment that emphasizes food appreciation instead of deprivation is the foundation of a healthy relationship with food. You’ve heard the advice over and over again: making small changes to your diet and lifestyle can add up to weight loss and improved health. But did you ever think one of those changes could be something as simple as chewing more — that is, choosing foods that require lots of jaw action, along with chewing gum? Believe it or not, the simple act of chewing can reduce your calorie intake. It works by increasing the satisfaction you get from meals, thus helping to tide you over between meals. 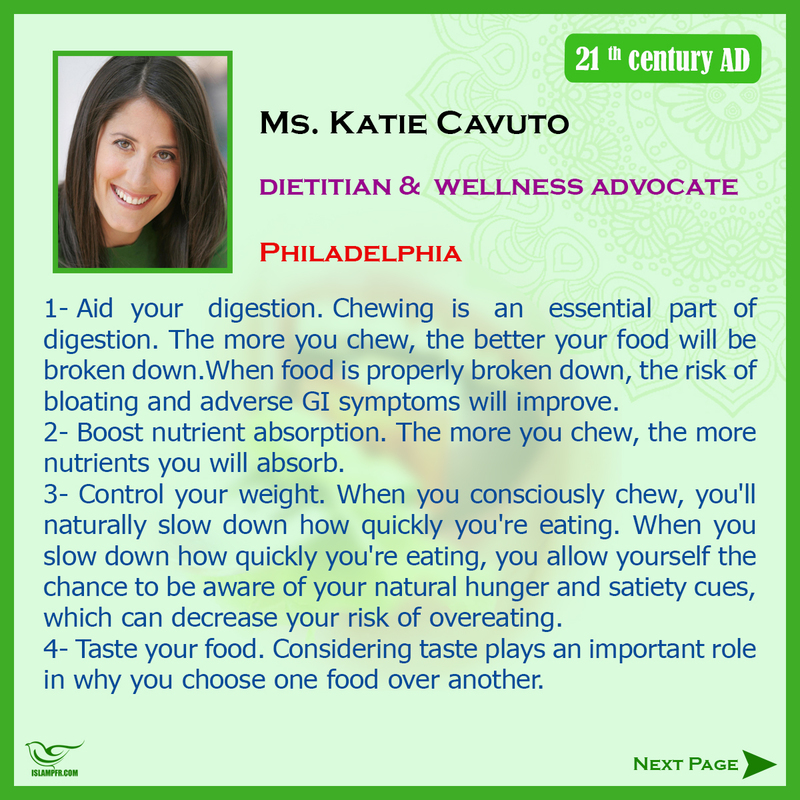 Of course, chewing is also the essential first step of digestion. 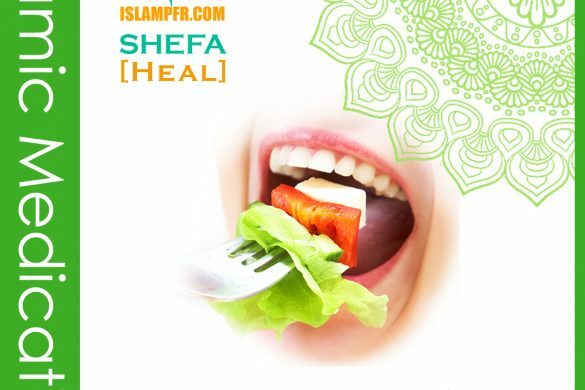 Food must be chewed so it can be swallowed easily and, when it arrives into the stomach, be properly digested. 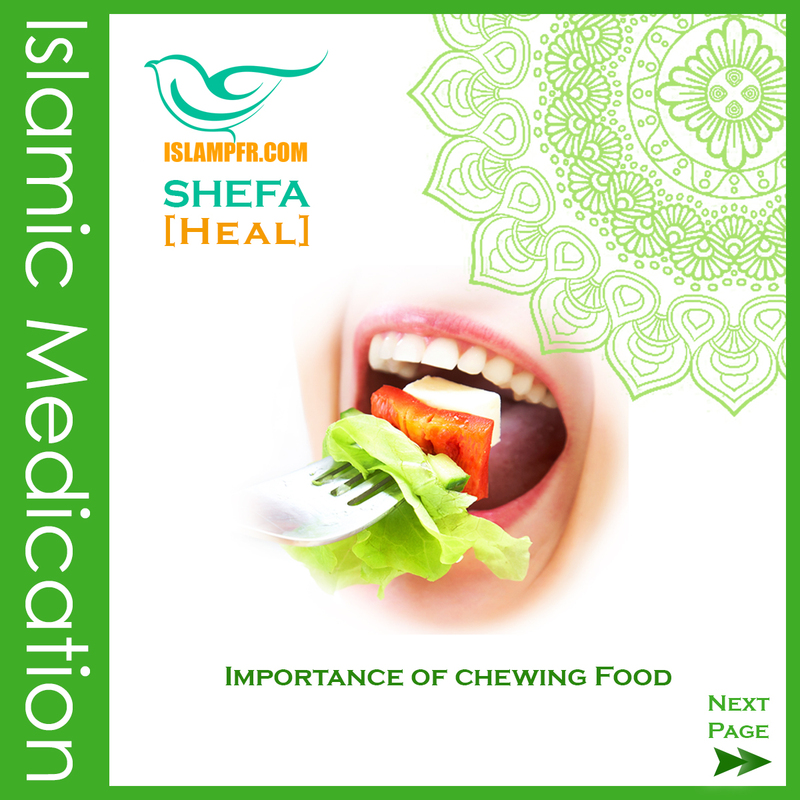 Chewing leaves food small enough for the gastric juices in the stomach to further degrade it and reduce it to microscopic size. This allows the nutrients and fluids to be absorbed into your gastrointestinal tract.